KANEOHE, HAWAII, USA The Hawaii Department of Health (DOH), the Department of Accounting and General Services (DAGS) has awarded a $140 million contract to the Design-Build team of KMD (Design Architect) and G70 (Hawaii Architect of Record) led by Hensel Phelps (Builder), to design and build a new 144-bed forensic psychiatric facility for the Hawaii State Hospital in Kaneohe. The facility will ease overcrowding and better separate higher-risk behavioral health patients from the general population. The new building will replace a recently demolished facility and occupy a site of about five acres on the upper campus. 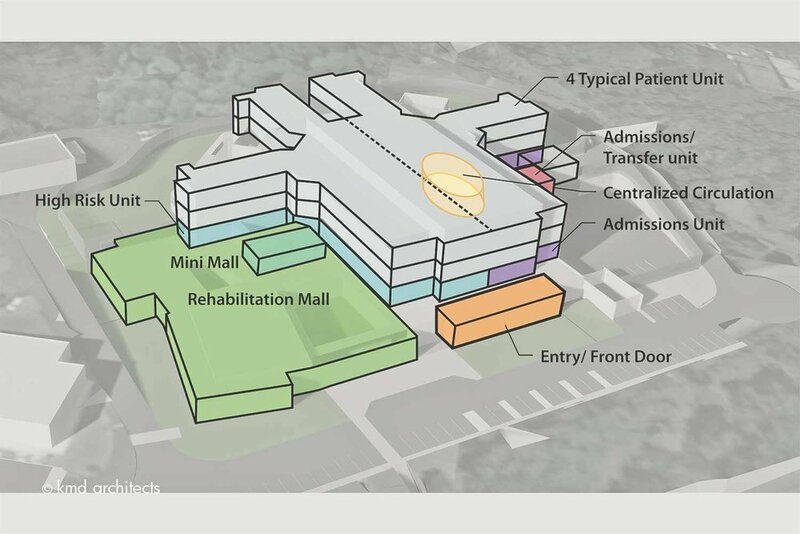 255 stalls for parking will be included and about 180,000 square feet of patient, treatment, and support space will be provided in a multi-story building. 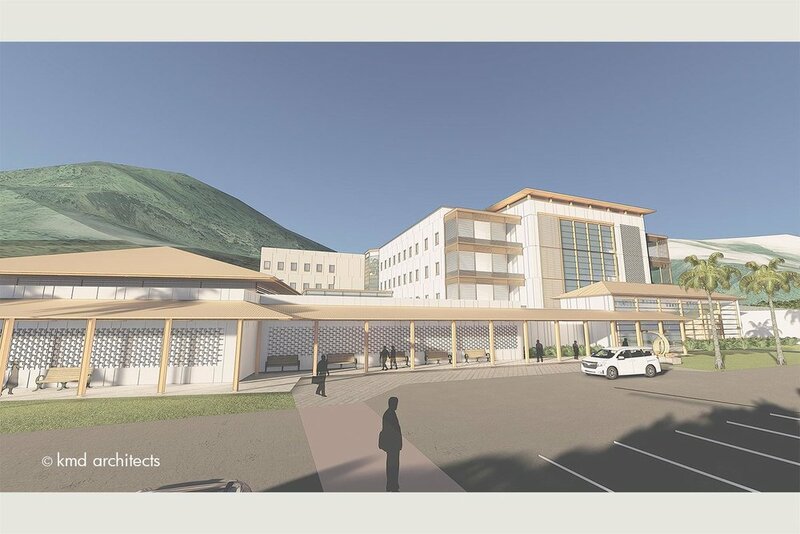 Elements include a 24-bed admissions unit for assessment of new patients, a 24-bed high-risk unit for patients needing specialized care, four 24-bed units for patients for routine care, and a treatment mall with services such as occupational, recreational, and rehabilitation therapy to assist patients with their recovery within this facility. The treatment areas will have a therapeutic environment with separate interaction areas for activities and a secured outdoor yard area for walking and exercise.